Rainstorm offer a comprehensive range of rehabilitation services based on more than 25 years of field experience. 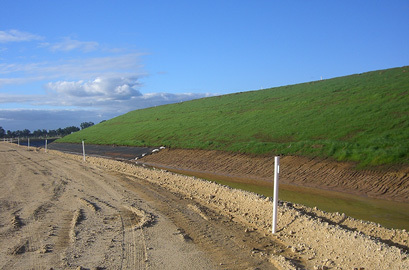 We can help with Soil Conditioning to prepare the area for Hydroseeding. The Hydroseed blend is added to either a Gluon™ or Hydromulch mix. The seed mix and selection of additives can be site specific, based on your geographical area in Australia. Rainstorm encourage native seed rehabilitation where possible. One application coat will seed and hold the top soil in place until germination. Seed mix and selected Mycorrhiza fungi are mixed together ensuring contact with seeds during the application. We offer different types of soil conditioners in order to speed up the germination process. Our in-house produced Agzyme is a pro-biotic soil stimulator. It will stimulate the growth of natural mycorrhiza fungi. Also available are products like Aminoc and CO2 Smash, a product range developed to enhance root development on plants. Rainstorm have a range of specialised off-road application trucks to mix and apply to the toughest terrain. Gluon™ Hydroseeding is ideal for site rehabilitation because Gluon™ provides the moisture seal necessary to help germinate seeds in dry desert conditions. The membrane is water permeable but reseals after rain. Rainstorm received an Earth Award for Outstanding Product Performance from the Civil Construction Federation of Australia for a project in the Pilbara in which we applied Gluon™ to sand dunes using helicopter applications (truck access was limited). Gluon™ is a versatile water-bound polymer emulsion which provides high performance veneering for sites requiring seed rehabilitation and planting. Utilise our expert application services, or we can provide site-specific application procedures and equipment is needed. 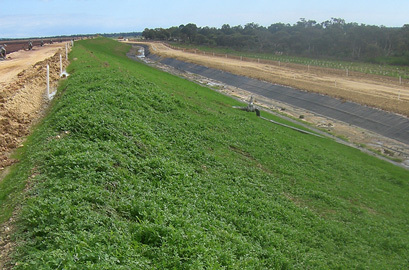 Hydromulch is an efficient and sustainable means of re-vegetation and rehabilitation of broadacre sites. 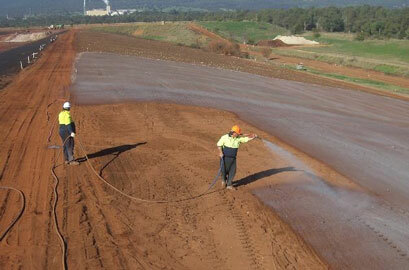 Hydroseeding and Hydromulch are also well established to lay dust from wind erosion. Our in-house team craft blends using recycled paper to suit specific site conditions. We have developed high performance blends to promote seed germination and encourage native seed regeneration. 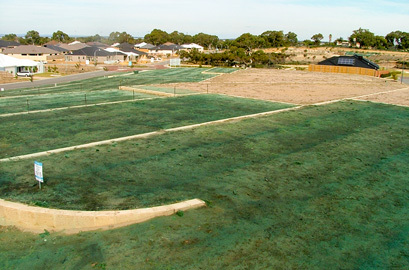 Variations to hydromulch blends include all manner of soil improvement materials to assist plant growth, with optional treatment area colour coding using dye. Paper materials last six to twelve months. Our specialised application rigs (built in-house) and range of on-road and off-road trucks enable us to provide low cost applications for large areas.